It's october, which means its time for a new challenge at Category Stories. This month, your prompt is 'this is me'. Due to losing a few members, Category Stories is doing a call out for a few new design team members. We’re looking for fun, creative and committed people who will do the monthly layouts or projects. 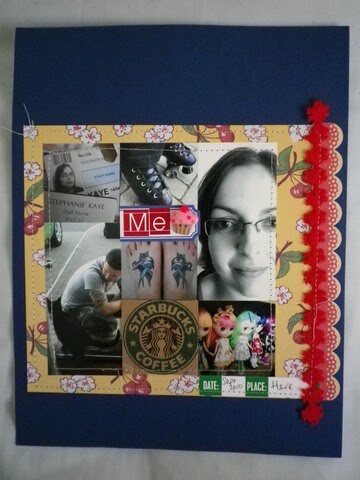 If you’d be interested, please do this month’s “This is Me” so we can get to know you a little bit better, along with a link to your blog (if you have one, most of us scrapbookers do) and also load your LO in ourFlickr group. That goes for all the layouts actually, it’s so much easier keeping track of who’s playing along if everyone can upload their layouts there in ourFlickr group-THANKS!! !